Learn more about the key players of our Team. Mitchell has been with the Dover Police Department since 1977. He was a sworn officer for 26 years rising to the rank of Captain. 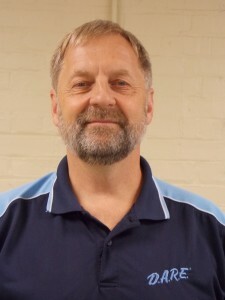 He retired from a sworn position in 2003 and has remained with the DPD since then, serving as a civilian employee, coordinating the Youth to Youth Program and participating in other drug prevention and community advocacy activities in Dover. Mitchell has a BS in Criminal Justice from Boston’s Northeastern University and a Masters in Public Administration from Golden Gate University of San Francisco. He is a 1988 graduate of the FBI’s National Academy in Quantico, VA.
Mitchell is on the Executive Board of the Dover Coalition for Youth. In 2010 he successfully completed the process and testing to be certified by the State of New Hampshire as a Certified Prevention Specialist. Mitchell has also been trained and certified as a DARE Officer since 1996. He continues to teach DARE classes in his current capacity. Mitchell has instructed at drug prevention conferences throughout the country on topics relating to youth empowerment and community advocacy. He has served on the staff of the New Hampshire Teen Institute, is a past member of the NH Attorney General’s Underage Drinking Task Force, and currently assists the Partnership for a Drug Free NH Advisory Board. Mitchell was the first recipient of the annual Smoke Free NH Award of Merit, the 1998 recipient of the NH Prevention Association Excellence in Prevention Award and was selected as the PRIDE Law Enforcement Officer of the Year for 2003. Stephanie Retrosi has been a Dover resident for the over 20 years. 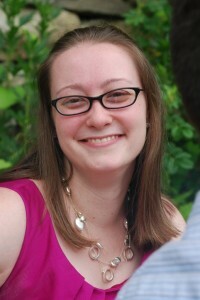 She holds a bachelors degree in communications from the University of New Hampshire. A current local business owner with her husband Tony since 1997, Stephanie brings over 30 years of experience working with children of all ages. 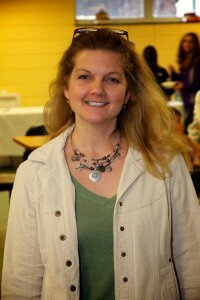 She is an active board member of the Dover Kids Cabinet and the Dover Coalition for Youth. She is also no stranger to Y2Y as she has had two children actively involved in the program. Vicki Hebert is a lifelong Dover resident and active participant in the community’s drug prevention initiatives for over 12 years. Vicki was a member of Dover Youth to Youth for seven years during middle and high school. During that time she taught “Media Awareness” in DARE classes, created and recorded radio PSAs, performed theatrical skits, testified before the state legislature, and participated in numerous other community anti-drug projects. She was elected by her peers as the president of the NH Youth Network Opposing Tobacco as a senior in high school. After graduating from Dover High School Vicki went on to receive her associates degree from the University of New Hampshire in Community Leadership received her bachelor’s degree from Granite State College where she studied Non-Profit Management. While in college Vicki served as an adviser to advanced Youth to Youth teams where she specializes in teaching presentation skills and media development. Vicki also worked with the Clean Air Works for New Hampshire Campaign and completed an internship with the Campaign for Tobacco-Free Kids in Washington, DC. 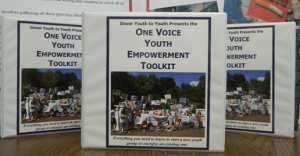 After Vicki graduated from college the Dover Coalition for Youth was awarded a federal Drug Free Communities grant and Vicki was hired to be the full time coalition coordinator. In this capacity, she continues to support and work closely with Dover Youth to Youth student teams.